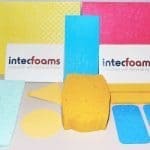 Intec Foams are a supplier of Technical and Flexible foams for industrial purposes, and offer foam products for markets such as medical, building and construction, acoustic and sound, and packaging, amongst others. We supply all foam and rubber types, abut also specialise in the design and manufacture of bespoke foams for industry. 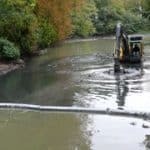 If you have an requirement for a particular type of foam, but are unsure of the properties needed for your particular project, then we can help. The range of foams include Neoprene, Polyurethane, PE, EVA Foam, Cellulose, PVC and EPDM. We manufacture to your specifications, and can source large volume orders where required. We are consistently producing new foams for clients, and can help with advice, development and production to your particular requirements. Intec Foams design, manufacture, and supply a range of technical and flexible industrial foams for use in all types of industry.